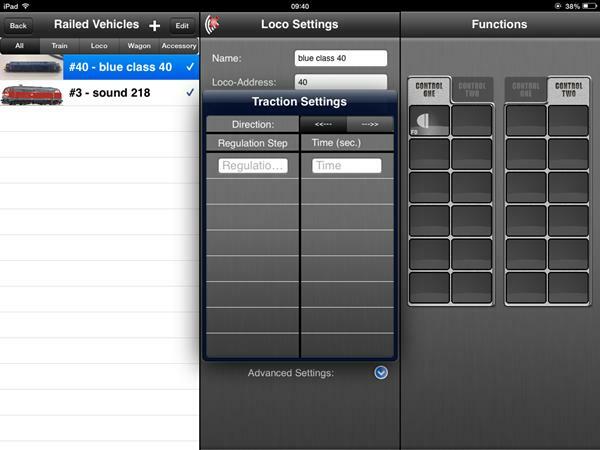 Underneath "Name" and "Loco address" on the railed vehicle settings screen, there are several other options to play with. Firstly is "max speed". 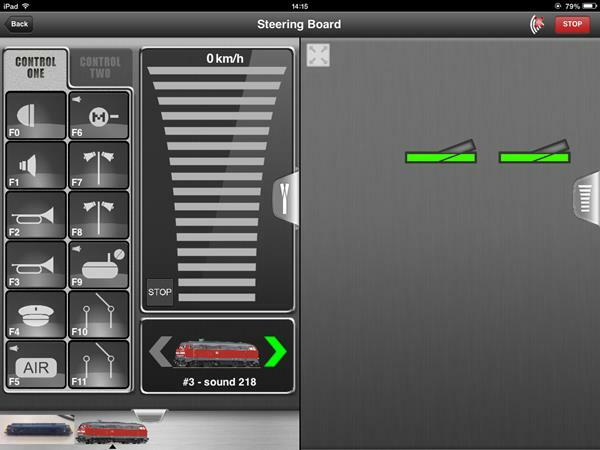 Note that this does not actually restrict the top speed of the loco! All it does is change the graduation of the loco speed display. This is normally set to 100kmh by default – think of this as a percentage of the loco’s top speed – for this reason I normally leave this set to 100. 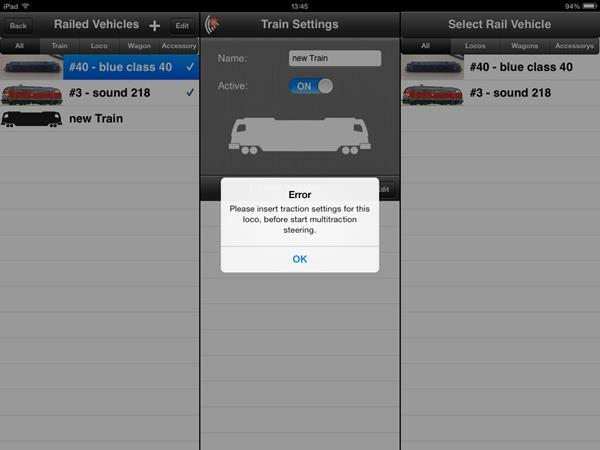 Below this is the "active" setting – this can be used to temporarily remove a loco from the list you see on the main screen, without removing it from your loco library completely. 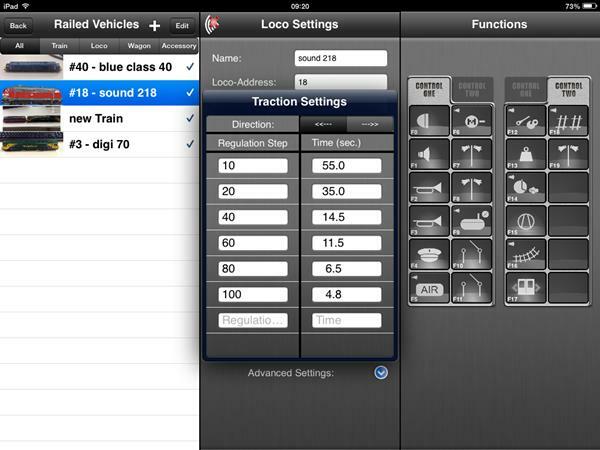 This can be useful for example if you lend a loco to a friend for a while. 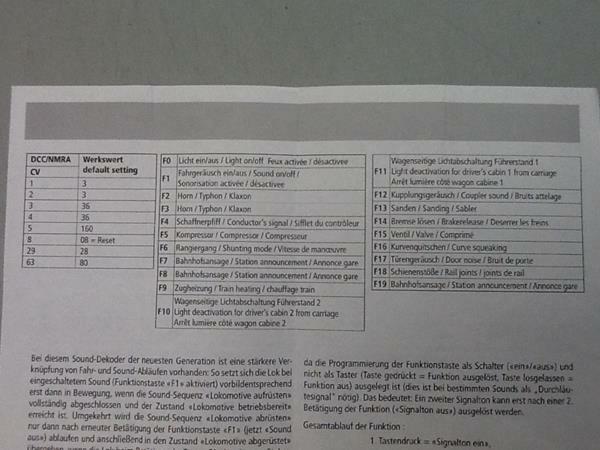 Under this is a toggle between DCC and Motorola decoder formats. 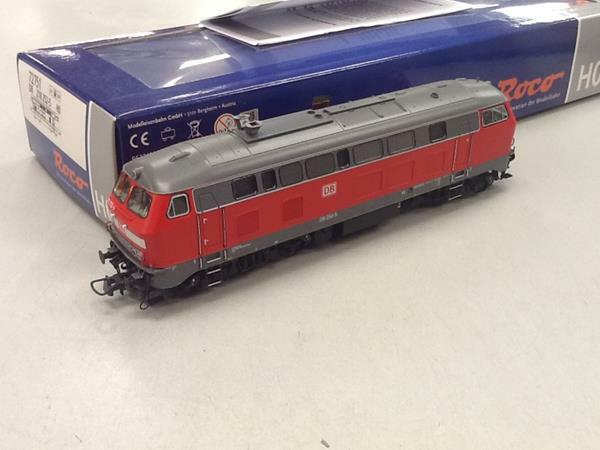 You will not need to change this if you are not running a Marklin 3 rail system. Below this you can choose the number of speed steps the loco uses – again this will not alter the top speed of the loco, it changes the number of graduations. 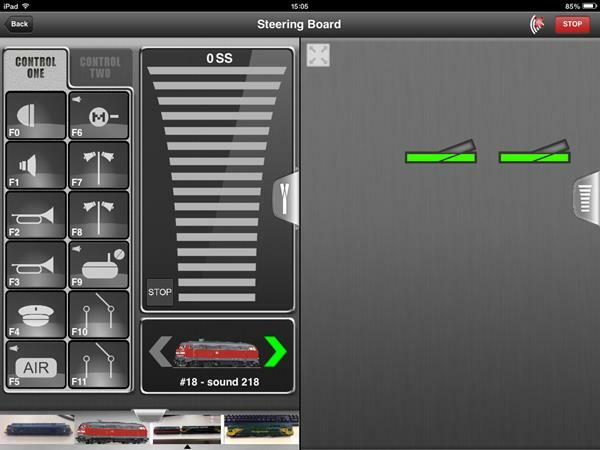 If set to 14 speed steps, you may find the loco surges as you accelerate through the speed steps. This is normally best set to 128 speed steps for the smoothest control. Underneath this you can change between a km/h display for the loco speed, or the number of speed steps – this is down to personal preference. 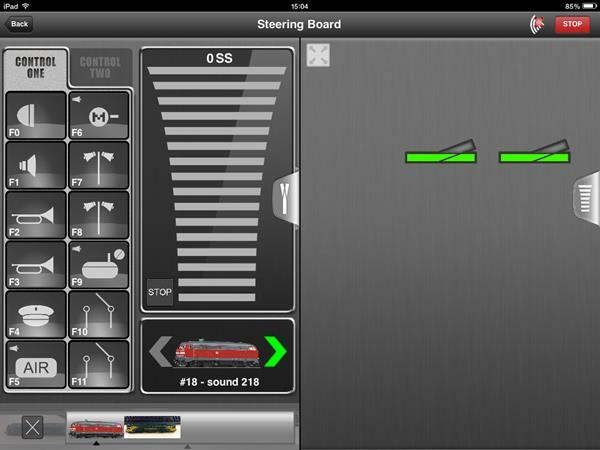 This will be covered in a future installment, basically what this allows you to do is to control a loco from the perspective of a drivers cab (tablets only). There are three free cabs available for download, and several more that are paid for. 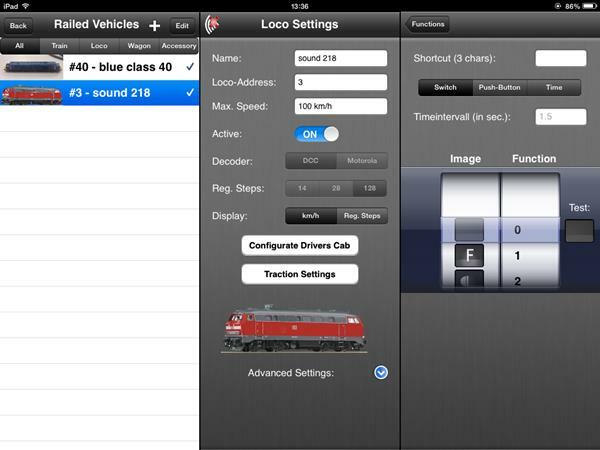 Roco will be releasing locos fitted with a camera in the cab front, and this feature will really start to shine then! This is one of the more useful settings – it will take a while to set up, but this only needs to be done once for each loco, and once done it will allow you to double head or consist locos together. Double heading with conventional systems can be rather difficult to set up, and it can be a challenge to get locos with different drive mechanisms to run at the same speed even if the decoders are identical. The Z21 works rather differently - the basic idea is to time how long it takes a loco to cover a set distance at different speeds, and the Z21 uses this information to adjust the loco speeds to a common value. The more information you give the Z21, the smoother they will run together. For this example we will assume you are running your locos over 128 speed steps – the greater the number of speeds steps, the smoother the loco runs. Choose a start and stop point for timing the loco – on the Gaugemaster demo layout, the platform is around three feet long so this is ideal. The loco will need to be travelling at a stable speed when it crosses the start point for our timing, so make sure it has a good run up. 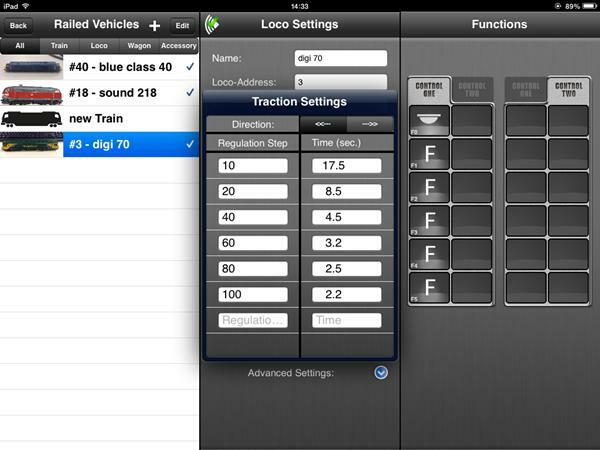 Return to the main control screen, and select the loco you will be timing. 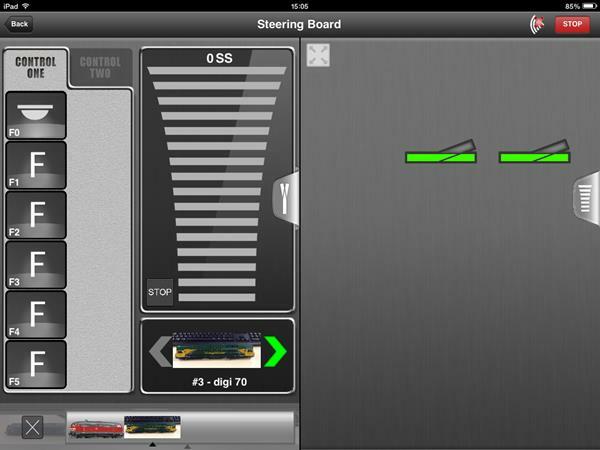 Accelerate the loco to speed step 10, and using a stopwatch or similar, count how long the loco takes to travel from the start point to the stop point – write this number down. 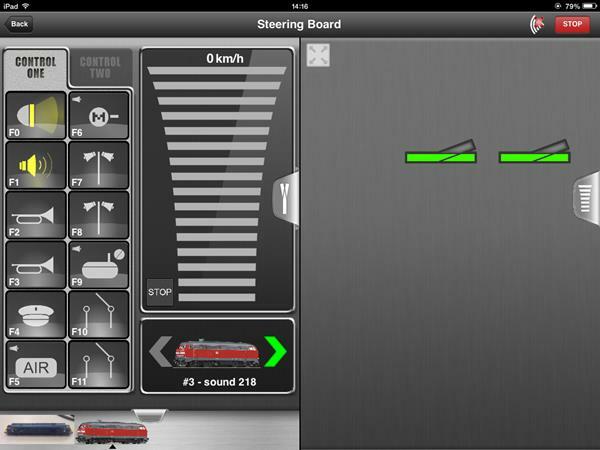 Return the loco to where you started, and this time accelerate it to speed step 20. Once again write the time down. Repeat this process at speed steps 40, 60, 80, and 100. You can take more timings at more different speed steps if you wish – if you imagine these timings as points describing a curve on a graph, then naturally the more points the smoother the curve will be. If you do this for any loco you buy, you can then run pretty much any combination of locos you have. 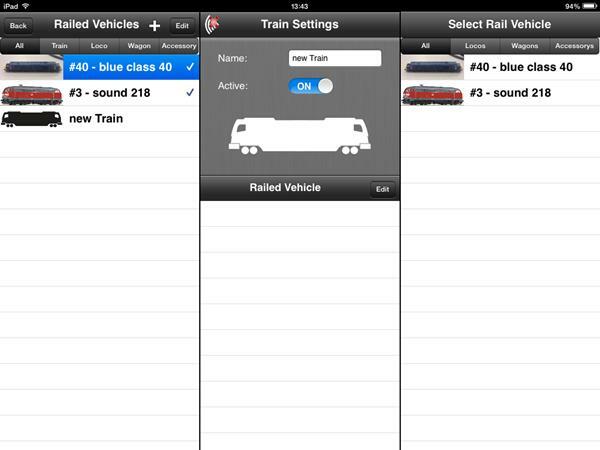 With the Z21, you do not need to break up the consist to run the individual locos again – simply tap on one of the individual locos on the roster and you have control over that loco alone again – the consist will stay there if you need it, or if your roster is getting too cluttered you can set the consist to "inactive" in the railed vehicles screen. This will not wipe the data from the system – when you want to use the consist again simply set it to active again and all of the data will already be there! 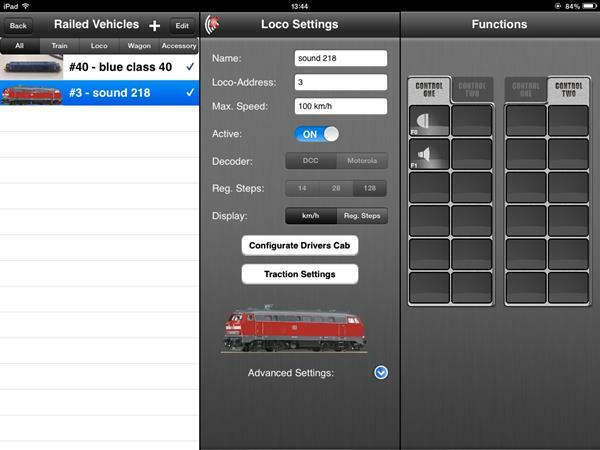 In future parts of the guide, we will take a look at programming locos, adding points and a layout diagram, driver’s cab displays, importing and exporting layouts, double heading and more!